Oracle Sales Planning Cloud provides a framework for planning and managing sales performance and enables organizations to automate critical processes by eliminating spreadsheets in key sales operations processes and improves collaboration for planning and modeling sales quotas. Use tasks and approvals to manage the quota planning process. Use Groovy rules for enhanced calculation and business rules. 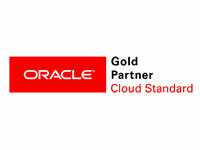 Integrates with Oracle Engagement Cloud. Use for pushing quota targets to incentive compensation or bring in actual attainment. Quota Planning helps plan reliable target quotas by engaging all participants of the process (e.g., VP of Sales, Sales Operations, Sales Managers, and Sales Reps.) It allows you to set a target quota for the next year, then optimize your results by adjusting by product, applying padding or seasonality, or performing predictive planning or what-if analysis. When the target is ready, planners perform top-down or waterfall planning to allocate the target quota throughout the hierarchy. You can also perform bottom-up planning to get quota commitments from Sales Reps and allowing a collaborative approach. After the target quotas are pushed up to the next level of the hierarchy and aggregated, compare top down and bottom up results and use the built-in dashboards to analyze and evaluate your quota plans with quota attainments. To learn more about MindStream Analytics and Oracle Sales Planning Cloud - please complete the form below.